"I've still got a bit of residual stress and tension about on my person from the move that I can't quite seem to shake," Brandy told her friend Starr one day. "It's so nice outside right now with fall creeping in. We should get out for some dinner and fresh air. That'll help you feel better," said Starr. "Patios are over rated," grumbled Brandy, "Jammed into a tiny table on a sidewalk with thirty other people while tree flotsam falls onto your plate and a dog does it's business just feet away? No thank you!" 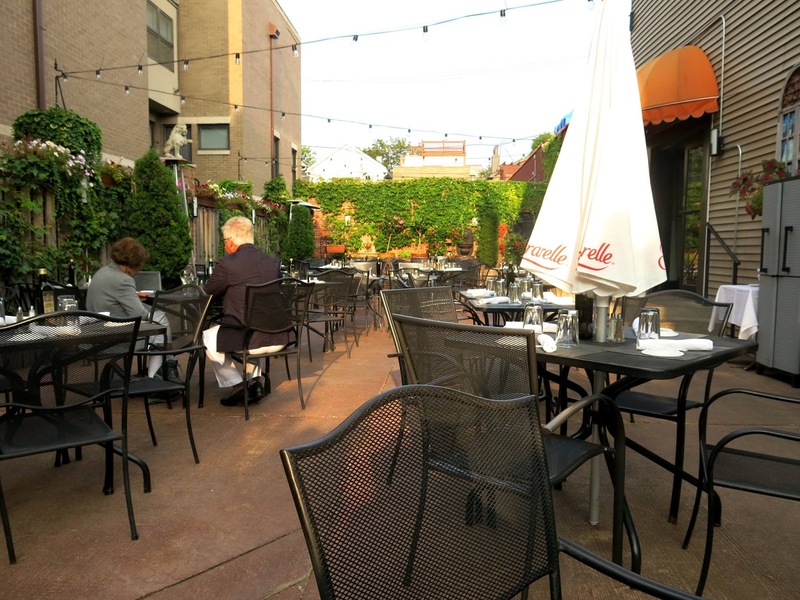 "Oh, come on, there's some really nice patios in the city! You just have to look for them!" "At my age, I'm done looking for things. I'm ready to be shown the way." "Well, in that case, I'll just show you to a patio that I think will meet with your approval." "No thank you." "There will be pasta." "Well... alright then." 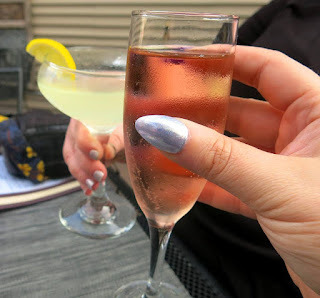 Starr took Brandy along to Trattoria Gianni, The venerable Italian stalwart situated on Halsted in the midst of some of the Chicago's best theaters. The restaurant was soon to be celebrating its 30th birthday, a gigantic accomplishment in a city which sees even Michelin starred establishments closing after a few years. 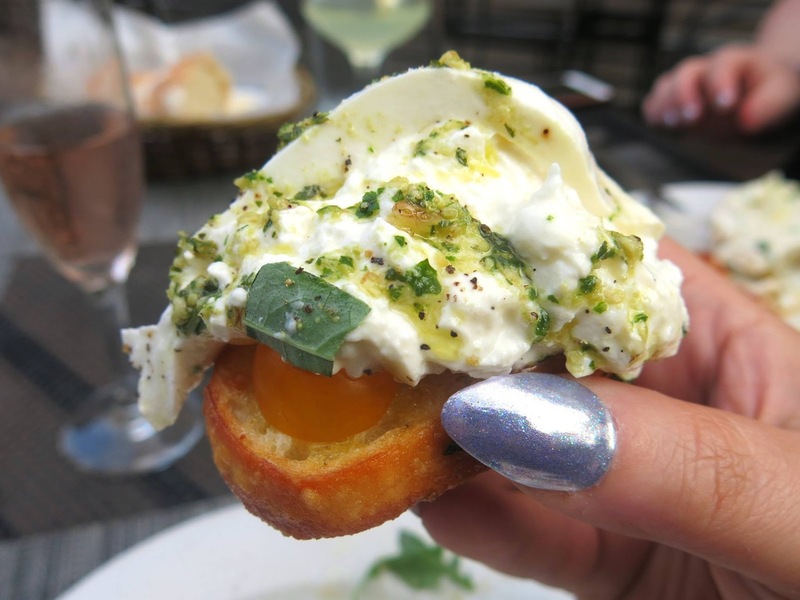 Importing many of their ingredients straight from Italy and preparing everything in house, Trattoria Gianni has kept alive a tradition of classic Italian food that warms the heart as well as filling the belly. Starr and Brandy took their seats on the newly revamped patio, which had plenty of lush greenery and twinkling lights, but a blocked off view of the street, making it feel more like a private garden. There were even space heaters scattered around the space, ready to warm diners in case the notoriously fickle Chicago weather were to make a turn towards the chilly. The ladies ordered a few drinks to sip while they perused the menu (some rose for Brandy and a lemony cocktail for Starr), but little did they know what the night was about to bring them, because Gianni Delisi himself was making his way over to their table. 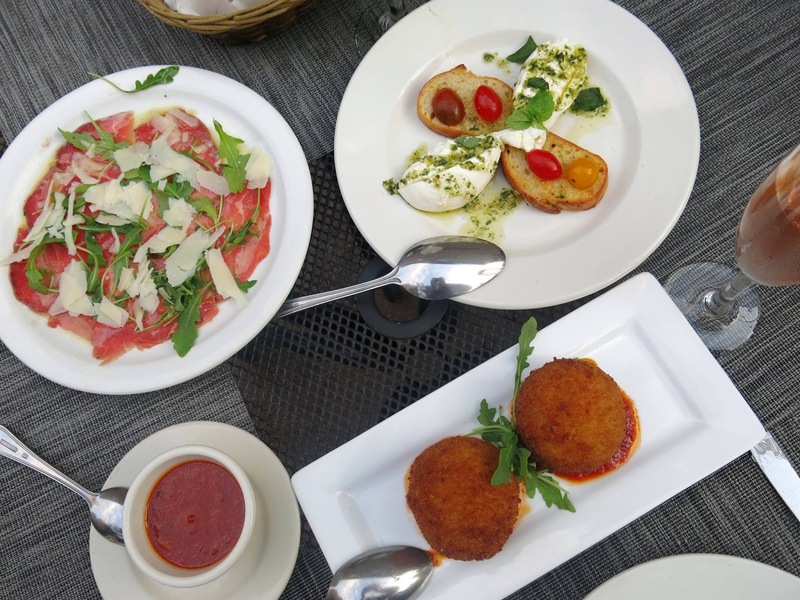 Relying on Gianni's recommendations heavily, Starr and Brandy sampled a trio of signature appetizers; beef carpaccio, bruchetta with fresh burrata cheese, and some arancini. 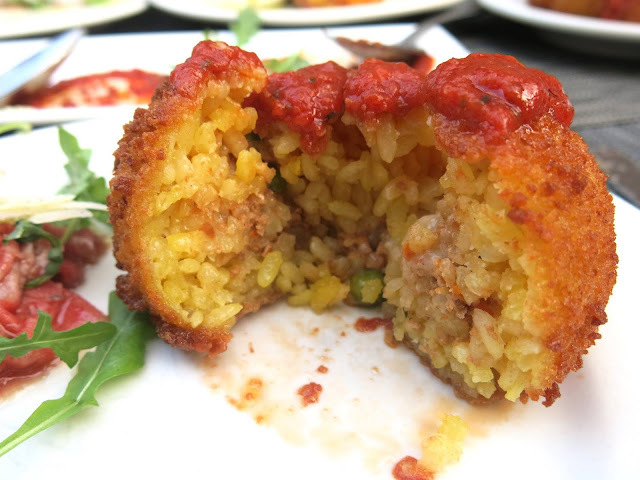 Though the beef was stunningly tender and flavorful and the burrata was pure creamy decadence, the arancini had Starr and Brandy's rapt attention with its perfectly crisped exterior, beautifully scented saffron rice interior, and bits of peas and cheese hiding within. 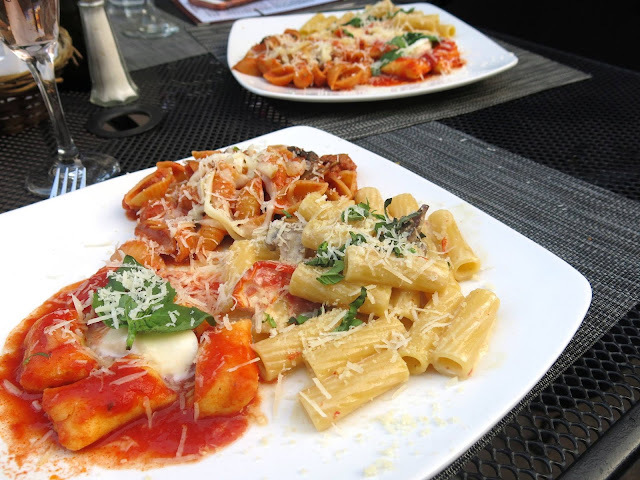 Next, Gianni brought out a sampling of some of the restaurant's finest pasta dishes. 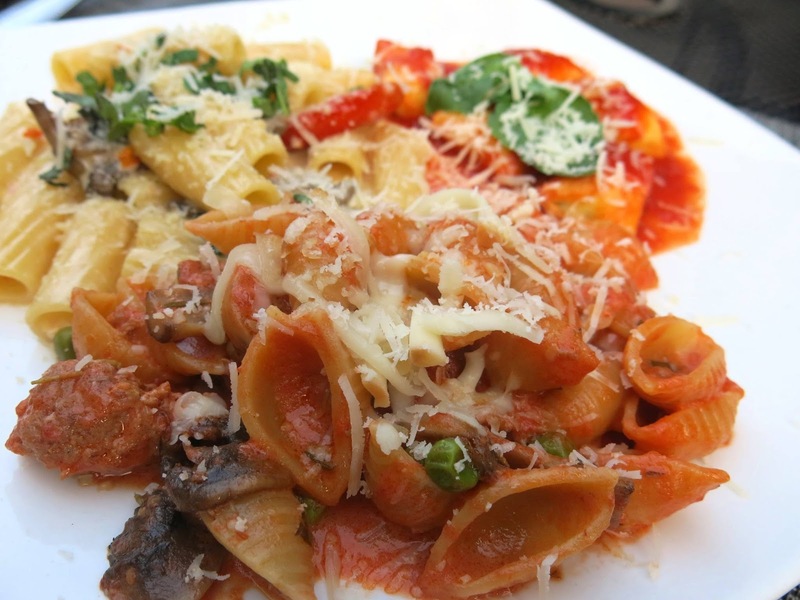 Starr really enjoyed the Conchiglie del Mercante, which consisted of shell shaped pasta, some slightly spicy Italian sausage, and lots of mushrooms and peas. Brandy immediately zeroed in on the Gnocchi della Nonna. 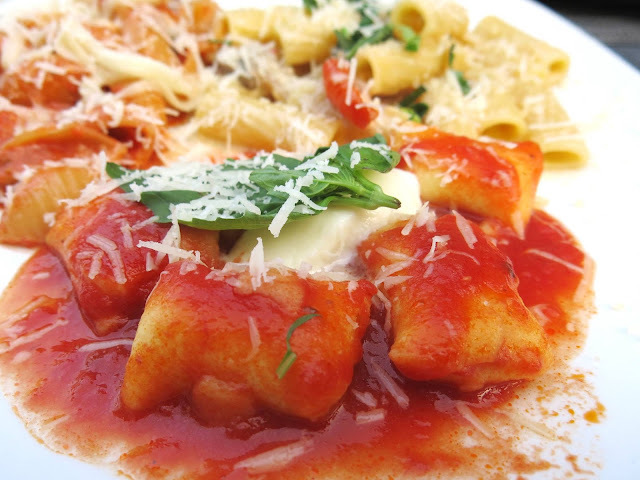 The perfectly soft and pillowy little ricotta clouds came served with a bright and herby tomato sauce, making these gnocci just the thing to please a cheese lover such as Brandy. 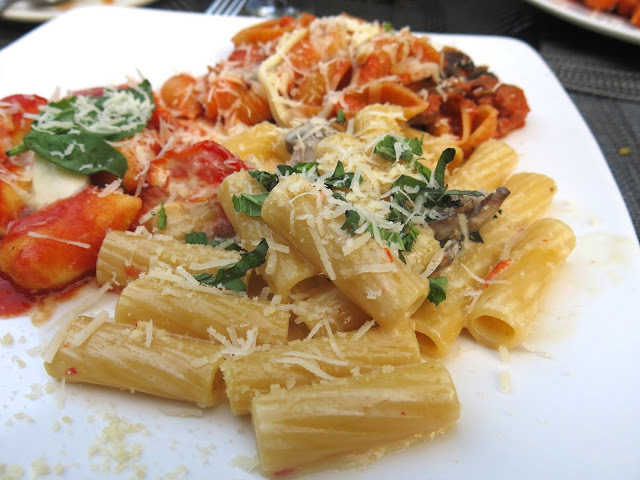 Lastly, they sampled the Rigatoni alla Nocerina, coated in a light and creamy sauce with bit of sun dried tomato, mushrooms, and plenty of garlic. 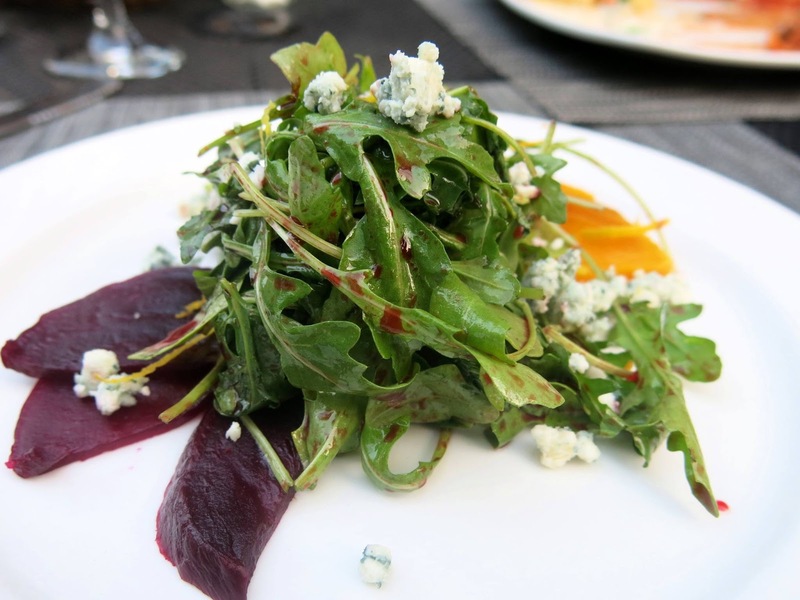 Not stopping there, they cleansed their palates with a special salad of red and golden beets, arugula, blue cheese, and a citrus scented dressing. The earthy, peppery, and zingy flavors were just the thing to give their taste buds a second wind. A plate of Braciole found its way to the table, making the ladies grown both with delight and trepidation at having to find the room for it in their ever expanding stomachs. 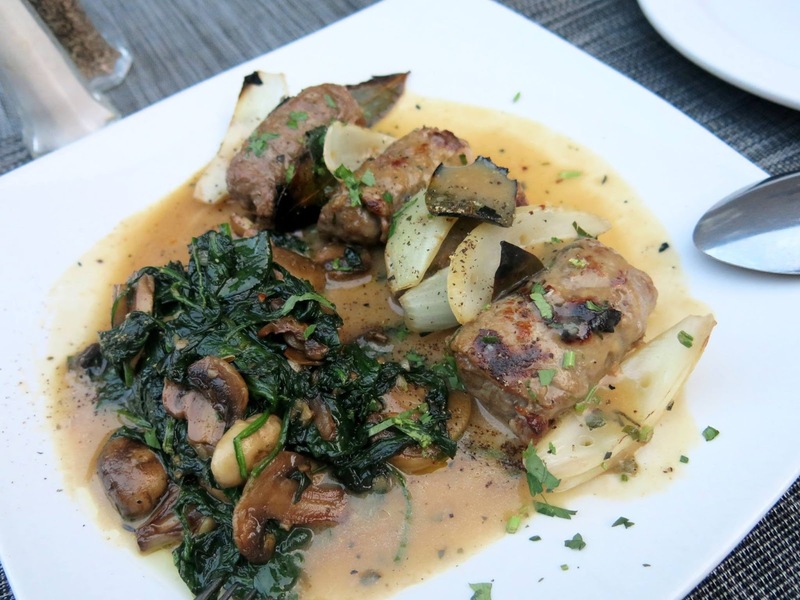 The thinly cut beef encased a creamy filling of cheese, raisins, breadcrumbs, and pine nuts and came accompanied by some sauted spinach, crisped sage, grilled onions, and mushrooms, making for a deeply flavorful and skillfully put together dish. Lastly, a perfect little panna cotta was presented to the table. Starr and Brandy made a valiant effort to devour every last creamy, silky, smooth spoonful, but their ultimate failure to consume every last bite earned them a little side eye from their smirking waitress. When they had arrived, the sun had still been high in the sky, but by the time they were ready to leave, the twinkling lights all around the patio had come alive, like little fairies dancing in the early autumnal air. "I don't think I can move," Brandy sighed. "How many glasses of rose did you have?" Starr asked. "One! 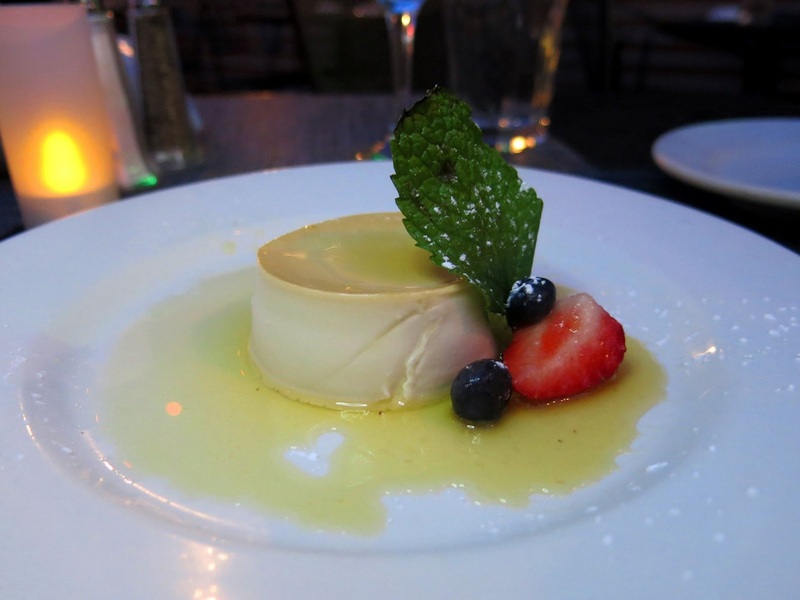 What you see before you now is not a woman drunk on wine, but a woman drunk on the love of fantastic Italian food. There is no spirit in existence that will ever make me feel as contented as a good plate of pasta will." And legend has it that Starr and Brandy are still sitting at that table on Gianni's patio to this day, guts busted, waiting for a time when they will once again feel hungry. 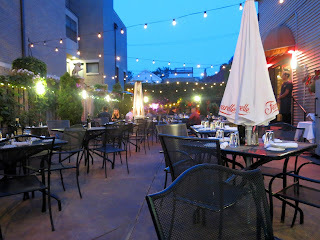 The writers of this blog were invited to dine at the restaurant free of charge in order to facilitate the writing of this post.